Google might be prepping a device protection plan similar to Apple's AppleCare one. 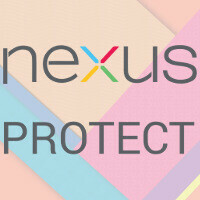 Android Police has stumbled upon numerous references to "Nexus Protect" on the Play Store, hinting that the search giant might be prepping itself to launch such a program. It appears that if you dig deep enough int the Play Store, a pop-up notification will appear, informing you the mysterious Nexus Protect is required if you have a couple of different phones in your shopping cart. It's not limited to smartphones, mind you - all types of gadgetry on the Play Store seem to be supported, including Android Wear watches. 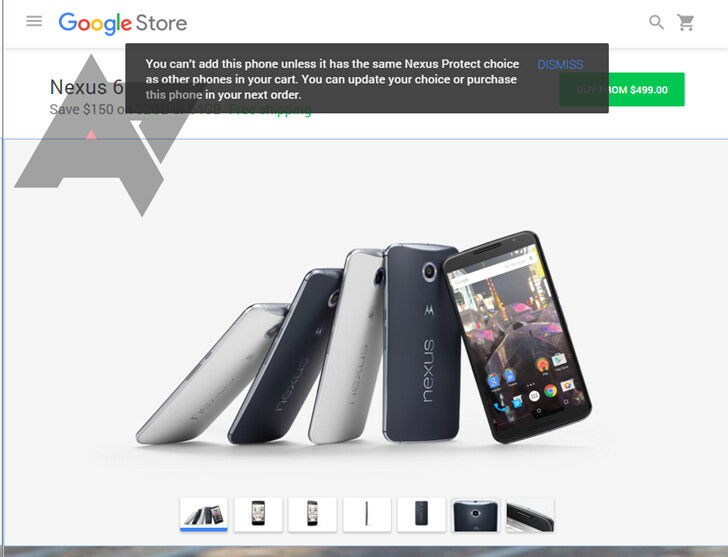 "You can’t add this phone unless it has the same Nexus Protect choice as other phones in your cart. You can update your choice or purchase this phone in your next order." It definitely looks like some kind of extended warranty program for the devices that Google sells on its Play Store. It might be only available to those users that buy specific products that are featured on the store or it could also be region-specific - the unknown variables are one too many. At this point, there is not enough data to help us wrap our heads around Nexus Protect and its aspects. If we are to trust our gut feeling, we might suggest that Nexus Protect might make an official appearance on September 29, when Google is expected to unveil the LG-made Nexus 5 (2015) and the Huawei-made Nexus phablet. It is interesting to see how Google will be able to implement such an extended warranty program, but still, have in mind there's always the possibility that it might never become official. We will promptly update you if we come across anything else Nexus Protect-related. Apple care works for one reason, you can take your broken iPhone and get switched that same day. There's Apple stores all over and I'm yet to see a Google store. I broke my Nexus 6 two months ago and it took 3 days to get a new one. When I broke my 6 plus took it to Apple and within 2 hours I had a new 6plus. And even then, 3 days isn't too bad. But, it isn't AppleCare fast - completely agree. You sure break a lot of phones. Why did it take them so long to copy Apple on this? And where are the Nexus stores to return your Nexus for repair or troubleshooting? There's no Nexus store. They'll ship you a new phone like they always have. Protection plans aren't new. I got the moto care with my first gen moto x, straight from moto website. It costed me extra 100, but was so well worth it. I pay 40$, when I break my phone for whatever reason and get a brabd bew replacement. And I just read apole care policy and you have to pay one time 100$ and then 80$ for a replacement. You can only do this twice. I can do it 3 times w moto care. i am waiting nexus phones and htc, 3 phones, one of them i will get, hopefully 1440p + expendable storage! Most people don't live near, or want to ever go into, an Apple Store. Had an issue with a Nexus 5, Google sent me a new one in 2 days. I'd rather wait 2 days than pay to park at the mall near here and try to get into a store. That's true, but a significant amount of people do live near Apple Stores. I love a couple blocks down from one, so it would be no problem for me to walk right over. At any rate, Apple provides both options. Work on your manufacturing and customer service first google. There's a reason AppleCare is second to none. Actually Google CS is quite good. Now if they controlled manufacturing, as in actually manufacture the phone like Apple instead of having HTC, Asus, Samsung, LG or whoever make their phones, then that would be great. Unfortunately it's a fine line to walk when you make both the software (Android) and now hardware when other OEMs also make hardware that use Android.